With Croatia advancing to the World Cup semifinals for the first time since 1998, a video clip of the country’s president celebrating wildly from the stands has gone viral. Croatia’s first female President Kolinda Grabar-Kitarovic was in attendance on the night her team dumped hosts Russia out of the tournament following a 4-3 penalty shootout win. 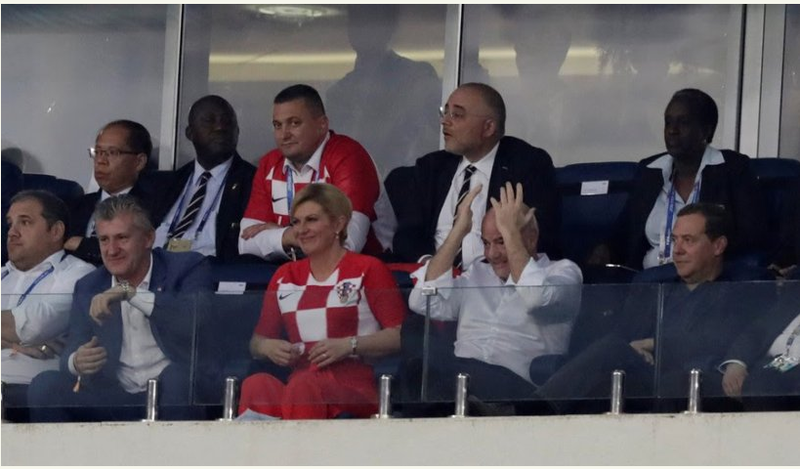 Seated beside FIFA President Gianni Infantino and Russian PM Dmitry Medvedev in the VIP section, she was seen raising her hands and doing a little victory dance to celebrated Croatia’s second goal. 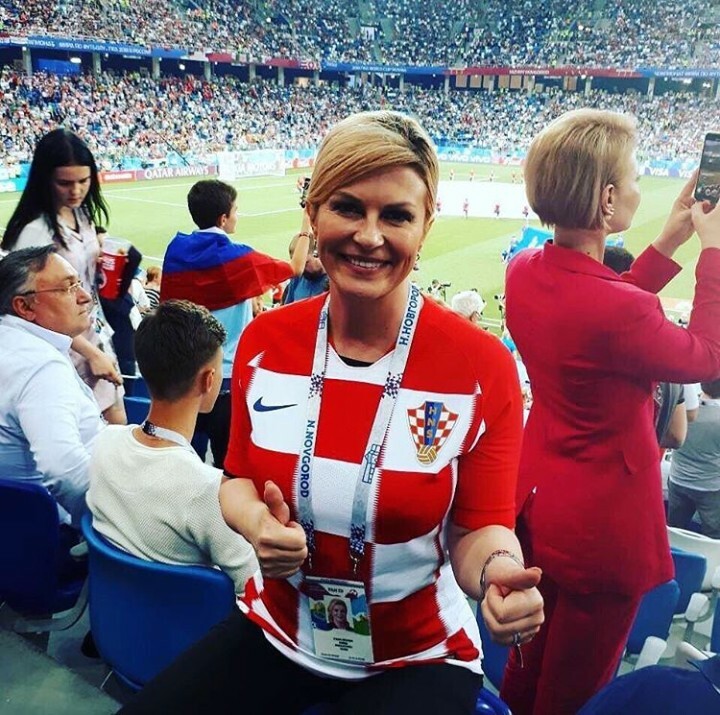 0 Response to "World Cup; Croatian First Female President Celebrates Country’s Semi Final Qualification (Photos)"